In the last fifty years, American and World theatre has been challenged and enriched by the rise to prominence of numerous female African American dramatists. 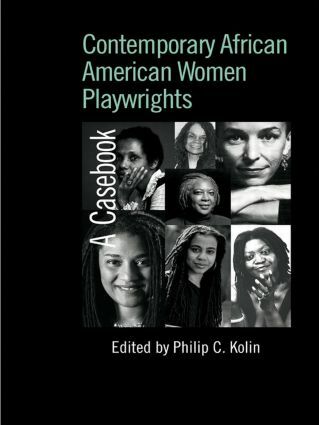 Contemporary African American Women Playwrights is the first critical volume to explore the contexts and influences of these writers, and their exploration of black history and identity through a wealth of diverse, courageous and visionary dramas. comprehensive discussion of attendant theatrical forms, from choreopoems and surrealistic plays, to documentary theatre and civil rights dramas, and their use in challenging racial and gender hierarchies. Contributors: Brandi Wilkins Catanese, Soyica Diggs, James Fisher, Freda Scott Giles, Joan Wylie Hall, Philip C. Kolin, David Krasner, Sandra G. Shannon, Debby Thompson, Beth Turner and Jacqueline Wood.